As part of his renewed mission to rid New York of crime, the former Daredevil will discard his iconic red tights and horned mask in favor of an all-white jumpsuit with a face mask that comes complete with a detachable golden halo. Risk-Averse Angel will also give up fighting his enemies with martial arts and brute strength and instead try to rehabilitate them with inspired readings from the Bible. 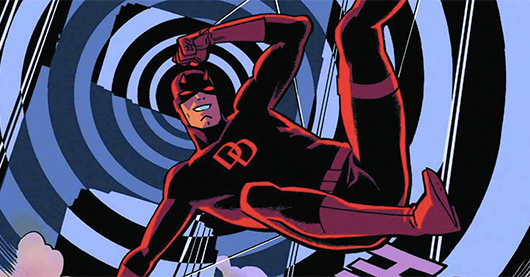 Geeks of Doom attempted to contact Risk-Averse Angel’s attorneys Matt Murdock and Franklin “Foggy” Nelson for a comment, but all we got was a voicemail with Murdock telling us to have a blessed day.